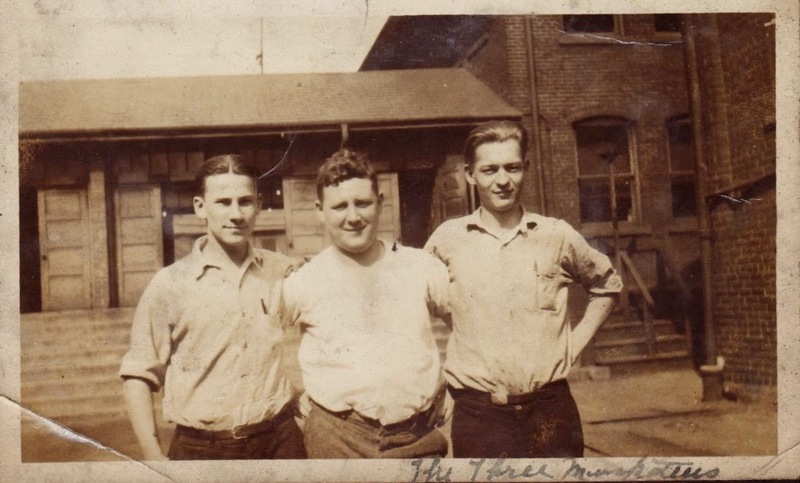 The three musketeers are my great grandfather Charles Lowry (center) and two others whose relation I’m not sure. Perhaps they are friends or coworkers. Based on captions in photos taken at the same time, the person on the left is named Bill and the person on the right Campbell. This photo was taken in 1929, which leads me to think it was probably taken at Republic Steel, where Charles was working at the time. ← Mystery Monday – What Happened To Edward Lowry?